There are views, and then there are views – and these are the airports which make a window seat is a must. 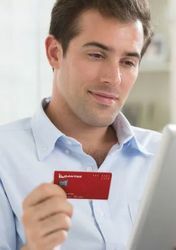 Private jet booking service PrivateFly recently polled over 3,000 high flyers on their favourite spot to land. And the winner? It's just across the Tasman. Topping PrivateFly’s list is none other than New Zealand’s own Queenstown Airport, with views of the snow-capped Southern Alps, pristine lakes and national parks welcoming its guests – along with an approach which skirts jagged mountain peaks. Lucky travellers can spot the glitz and glamour of the Las Vegas Strip as they descend into Sin City, which looks all the more impressive at night. And let’s not forget mountain ranges so close that you could put your arm out and be close to touching them. Move aside Paris, it’s Nice’s turn to shine. Gateway to the French Riviera, enjoy the views of the sparkling blue water and distant hills, which can sometimes be snow-capped. As one of the world’s only beach airstrips, the runway here disappears twice per day with the comings and goings of the tide. The approach itself isn’t too shabby either, says PrivateFly, with aircraft passing majestic mountains, stunning coastline and a historic harbour castle. Australia’s own Gold Coast Airport just isn’t the same. Better-known as Sint Maarten Airport on the Dutch side of Saint Martin island, the airport approach here speaks for itself. Whether a plane nut or a regular beachgoer, it’s sure to feel as if the incoming aircraft are landing right on top of you. Close behind and also from the Caribbean, Saba Airport – one of the most challenging landings a commercial airline pilot can accomplish. “You seem to fly straight into the cliffs, correcting at the very last minute before touchdown,” said one traveller surveyed. “Even then, it's not over, with the sea ready to meet you as the plane stops just short of the end of the runway and the open sea!" Forget the usual taxi lines, airport trains or expensive chauffeur-driven transfers: the CBD is quite literally a moment away from Toronto City Airport. With breathtaking views of Lake Ontario, Toronto’s skyscrapers and Canadian parkland, skip Pearson International and have your private jet land here instead. Similar to Billy Bishop Airport, Gibraltar Airport is just 500 metres from the city’s centre – but with an interesting twist. One of the island’s main roads actually crosses paths with the runway, so you’ll see motorists waiting to cross as your aircraft arrives. Heathrow. Gatwick. Two airports that don’t provide London travellers with picturesque views of the River Thames and downtown London as you touch down, which awaits at London City Airport. "The cockpit windows frame the perfect shot of the world's financial hub, appreciated by many, but adored only by pilots,” said one respondent. “Come rain or shine, the city pulses beneath you during every landing." Rounding out the top 10 is Cape Town Airport and its view of Table Mountain and False Bay. Add to that Robben Island and the beaches of the Cape Peninsula and you’ll wish Qantas flew straight to Cape Town rather than Johannesburg. Have you experienced any of the ‘top 10’ landings? Is there another airport more deserving than one above? Leave your thoughts in the comments below! I don't mind flying onto Cairns airport. You see the tropical rainforest on the hills. I love flying into London (best view from right side of the plane) - a good approach line takes you right over the city with The Thames, London Eye and Houses of Parliament right below! 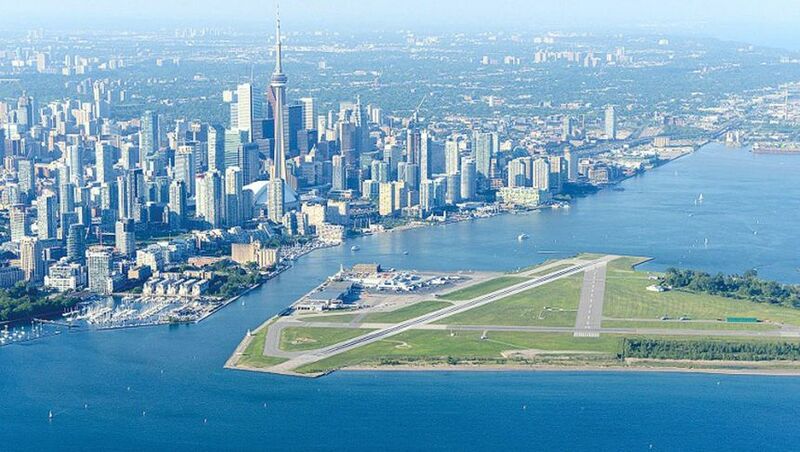 Billy Bishop Airport in Toronto is fantastic, I dont know why more people dont know about it. Sure you have to fly in on a propellor aircraft, but with Porter flying in a Q400 from many US cities it is a very good choice. I think it's the lack of service. Porter's the only real carrier, unless you count Air Canada's token flights to Montreal. Also, had a great arrival path into Vienna some years ago - flying in winter, the ground below totally blanketed in snow except for the Schönbrunn Palace and grounds - a true 'picture postcard' view. LCY is not only scenic, but you're out of the terminal and into a cab in 10-15 minutes. It's like landing at Kalgoorlie! I cannot recommend it highly enough to those travelling for Europe to London. Ditto - LCY is my preferred airport for London with great connections to Europe financial hubs..
Only downside is LCY airfares are tens or hundreds of pounds more expensive than LHR or LGW, for the same routes! Surely Laguardia ? On the left, an incredible view of the manhattan skyline. Makes the empire state building look like lego. Hong Kong approaches are amazing.You see the Island and lantau coming in.Not the same as Kaitak for those of us old enough to remember those days but just as good. landing at HK's old airport (Kai Tak) was much more dramatic. you approached towards Checkerboard Hill, made a sharp turn, flew over old chinese-style residential building, saw people hanging laundry, then landed on the runway. Some of the approaches into Sydney are very nice, especially coming into the airport in the early morning, when mist sits in the valleys around the Hawkesbury and the morning sun shimmers off the sea as you fly past the landmarks of the Harbour and CBD. On a good day flying up the Thames and into Heathrow and into the Gold Coast can also be gorgeous. Definitely Milford Sound. Like flying into Jurassic Park! How did Innsbruck not make this list? You fly up a valley surrounded by 3000metre peaks. It's an incredible approach, and one for which Pilots must do a specific annual qualifying course. There is something quite magical about arriving into LAX at the break of dawn, as the aircraft descend and breaks into the clouds. The view of the Pacific Ocean giving way to the orderly rows of human habitation interspersed with the long, seemingly unending highways. Your eyes transfixed on the airflow over wing; the air heavy with mist. Just then from corner of your eyes, as if greeting the landing aircraft, are the numerous hotels surrounding the airport. With the sound of the wheels touching ground, you catch a glimpse of all the other aircrafts come in from across the dead night of the Pacific. Each travelling back in time to arrive once again to the morning that has been. And then you are snapped back into reality when you get off the plane and realise that you are a non US citizen going through immigration at LAX. Not to worry though, in 2 hours you will be out and on your way! In my experience a westbound approach into LHR is far more scenic than than approaching LCY, chance to fly past all of central London, stunning. Barcelona El Prat airport can also offer some wonderful views on approach. Santos Dumont, downtown Rio de Janeiro. One of the approaches is stunning (via the Christ Redeemer and Sugarloaf Mountain). it's also the one that came up to my mind. similar to Toronto City Airport, but surrounding is even more scenic with Christ the Redeemer, etc. Totally agree with David. The approach into Heathrow is amazing especially if you are sat on the right hand side. The approach basically follows the Thames all the way to LHR so you fly over LCY, then the city of London followed by Tower Bridge, St Pauls, The Shard, Houses of Westminster/Buckingham Palace etc etc. Aitutaki in the Cook Islands. For most it won't be a business destination, but the approach is great., over the lagoon with impossibly blue water from turquoise to ultramarine. For business trips, I quite like Hong Kong. Even the new airport. SFO is amzing as well, with the full view of the bay area nad the golden gate bridge. Glad to see Queenstown on the list. I have to agree. Also note that it is awesome being in the bus going up to the Remarkables and seeing what appear to be wee little A320s and B737s coming into land below. MLE does it for me! Just keep dropping out of the sky with nothing but ocean beneath. And then you see the airport. Innsbruck is a pretty cool approach a bit like Queenstown. What about Wellington? Especially from the north and seeing the city out to the right. But also coming in low over Cook Strait from the South is pretty amazing on a windy day. It has to be Lukla (Tenzing - Hillary) Airport, Nepal. Although probably not right now. St Barts is definitely one that gets the blood pumping. Not one for the faint-hearted! Don't forget the scenery you get flying in and out of Paro Airport, Bhutan. If the Himalayas and the local mountains don't impress you, I don't know what will. Gibraltar isn't an island as stated in the article. Doing #1 for the first time in August. I've driven there, but can't wait to fly in. Moreover, I'd love to be flying in to play a game at the Queenstown Cricket Club. I think you will find that #5 is on the French side of the island which is called Sint Maarten. The Dutch side is called Saint Martin and has its own airport. Wrong. Sint Maarten is Dutch; Saint Martin is French. You can tell from the spelling. The international airport is on the Dutch side and is named after a former Dutch queen. The French side only has a tiny airport with local flights to other French islands. Rio's second airport, Santos Dumont, has to be up there. Take off involves flying straight at Sugar Loaf Mountain followed by a hard bank to the right to avoid it! Landing is pretty crazy too!! I reckon the best airport view is the one you call home, especially when you've been away for 3 or 4 weeks. Perth is not the best looking airport around, but it's always good to land there. I remember flying into Buenos Aires on a Qf flight and we flew over the Monumental stadium at night while there was a game on, seeing the lights, flares and smoke rising from the stadium still gives me chills. 1. Santiago, Chile (SCL) to Buenos Aires, Argentina (EZE) - takeoff from SCL on a hot, clear day and soaring over ice-capped Andes mountains within 15 minutes at lower atltitude is pretty spectacular and provides great photo ops. 2. Let's not forget taking off from Honolulu HNL and the immediate turn to miss Diamond Head can be a bit confronting if you've not done it before. Seeing the large 'Turn right, now' sign on the Diamond Head headland always provides a bit of a chuckle, for me. 3. Flying over the dormant caldera of the extinct volcano surrounding downtown Caracas,Venezuela (CCS) is a sight to see. And after landing, taking ground transport into the city which has multiple significant tunnels through the edge is a bit mind-blowing. 4. Hong Kong (HKG) has always been a sight, whether the current new airport or the older one, which inspires photographs. Highrise, high-density cityscape certainly meets nature. 5. Landing into either Santorini or Mykonos, Greece (JMK) always provides a snapshop of how insignificant a small island hosting glorious nature sites in a sea of blue can be a real eye-opener of how vast this earth is. 6. Landing on an uphill runway (or taking off downhill on a mountain-perched runway in Lae, New Guinea in the late 1960's as a young lad is also one that I won't forget in a hurry. Ah, the days of DC-3's and 'jungle transport'. Don't forget your own back yard. I've been lucky enough to fly into many of those mentioned in the article and the comments, but few will go near arriving over Sydney at dawn on a clear morning, like recently being vectored towards 16R (so saw all the northern beaches) before sent around to land on 34L (so a nice view of the City and Royal National Park. Gorgeous. Happy to post photos! Comment on "The world's 10 most scenic airport approaches"